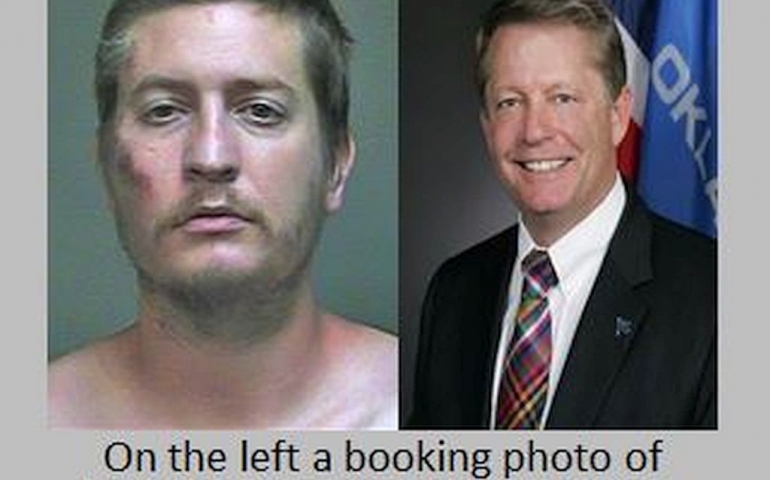 On August 23, 2015, State Labor Commissioner Mark Costello was stabbed to death outside of an Oklahoma City Braum’s by his son, Christian Costello. According to Cathy Costello, Christian’s mother and Mark’s wife , Christian had been diagnosed nine years prior with schizoaffective disorder with psychosis. Schizoaffective disorder includes both the symptoms of schizophrenia and mood disorders. Symptoms are cyclical and can include hallucinations and delusions. Leading up to Mark Costello’s death, his son had delusions that his father was a government agent and was trying to kill him. While schizoaffective disorder can’t be cured, it can be managed with medication and psychotherapy. In the months before Mark Costello’s death, Christian had abandoned his medication and neither he or his girlfriend were seeking help for his condition. Since the death of her husband, Cathy Costello has intensified her advocacy for better mental health awareness. In the eight years that Cathy and Mark spent trying to get help for their son, Cathy Costello estimates that they spent close to $150,000 of their own money. In June of 2016, the ‘Labor Commissioner Mark Costello Act’ was signed into law by Oklahoma Governor, Mary Fallin. This act allows immediate family members and guardians to petition courts to order those that are under the care of the Department of Mental Health and Substance Abuse to participate in outpatient treatment programs. Since the bill was passed, Costello has maintained that if the act had been in effect on August 23, 2015 her husband would still be alive. She also points out that people talk about her situation because of who her husband was, but tragedies such as hers are more common than people think. In addition to public service announcements, Costello has partnered with Oklahoma State Insurance Commissioner John Doak to communicate to the public their rights — when it comes to insurance and mental health treatment. It was only after her husband died that Costello was informed she could have appealed the denial of the insurance claims for the treatment of her son’s mental illness. According to the Oklahoma Insurance Commission (OIC), all insurance plans are required to cover treatment for mental health issues. If payment is denied by the insurance company, an appeal can be made directly to the insurance company. If this is unsuccessful, an external appeal can be made through the OIC. While Christian was originally found not competent to stand trial, a second psychiatric evaluation has found him competent. His mother hopes that he will be placed into a hospital where he can get the treatment that he needs, rather than Jail.